People may not like the blog posts we sometimes comment about being such taboo subjects talking about sick premature babies ,baby loss abortions etc but this evening I found out something that hospitals are doing that I could just cry about knowing this happens. I have worked with babies and children over 26 years.Understand how abortions are carried out but on discovering this procedure i find it outrageous and angry that I didnt even know about it and with also being a baby bereavement specialist.. In the cases that when a growing baby inside the womb wont make it at birth a procedure known as a FETICIDE can be performed. What makes it worse is when parents are told the devastating news that their baby in the womb wont make it. They offer them an early induction. Then later tell them this procedure needs to be done before 24 weeks Why because its classed as abortion before 24 weeks and on ocassions doctors can get a malpractise lawsuit after 24 weeks the legal limit for abortion. Devastated parents feel they have no option and are rushed into decisions that they should not be made to do. They feel it has to be done, the hospital staff are the experts after all. They are given information as not to offend the parents.A lack of valuable information about how this feticide injection works and are probably told in a nice way oh it puts baby to sleep making baby die inside so it comes out with no pain! ” Come on Do you think the parents would seriously concider this procedure done if they were told the real facts. In fact a baby that dies in the womb before 22 weeks doesnt have status as a baby in the sence of until 24 weeks gestation when it legally becomes a human being Ie even baby can have a death certificate from this age of gestation. To be told they kill baby by injection through the stomach into babys heart ‘ with salt solution just to make sure it comes out dead is worse than an abortion in my opinion.I handle devasting news daily by parents who need tiny clothes ready for the induced birth. If baby wont make it at birth let baby have the dignity of passing away in the womb naturally or peacefully in loving arms even if it is an hour or so later. In abortions after 20 weeks, an injection of digoxin or potassium chloride to stop the fetal heart can be used to achieve feticide. Less commonly, urea may be injected into the amniotic sac, or the umbilical cord may be cut, resulting in the fetus bleeding to death. 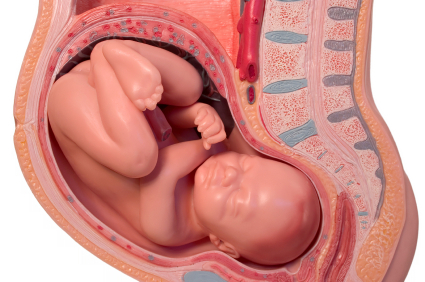 Fetal death causes the tissues to soften, making removal of fetal parts in a dilation and evacuation procedure easier. In the United States, the Supreme Court has ruled that a legal ban on intact dilation and extraction procedures does not apply if feticide is completed before surgery starts. When used before labor induction, feticide prevents the possible complication of live birth. The possibility of unsuccessful feticide—resulting in birth of a live infant—is a malpractice concern. for health professionals who provide and facilitate feticide, and for parents making decisions about late TOP and feticide, the procedure is understood as a necessary rather than chosen activity. Parents’ perceptions of feticide may differ, and good clinical care must be designed to cope with this variation. For health professionals, feticide seems more readily distinguished from other types of TOP activities and may evoke simultaneous positive and negative perceptions. The role of feticide in the context of late termination of pregnancy: a qualitative study of health professionals’ and parents’ views. Graham RH, Mason K, Rankin J, Robson SC. Prenatal Diagnosis. 2009 Sep;29(9):875-81. 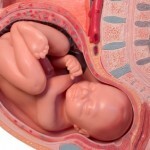 In accordance with The Abortion Act 1967, an abortion must be carried out before 24 weeks of pregnancy. But there are a few situations when the law states that an abortion may be carried out later. I would say If you sign a consent form for an induction only make sure there are no small printed words with the methods used to stop the heart ie an injection of digoxin or potassium chloride, – stop the fetal heart that kill baby before delivery. Or ask to be transfered to another hoispital that will.